Last edited by RonTurner on Sun Jun 07, 2015 1:54 pm, edited 1 time in total. Oooh, very nearly had your entire collection available as a deceased estate. Interesting that there is no labelling of Commodore badges on the machine. Is that normal? I have pulled the whole thing apart, and cleaned the motherboard for a start, visually it looks really mint after a clean. This is the 80 column model. Last edited by RonTurner on Sun Jun 07, 2015 1:55 pm, edited 1 time in total. nama wrote: Scary looking cap!!!! 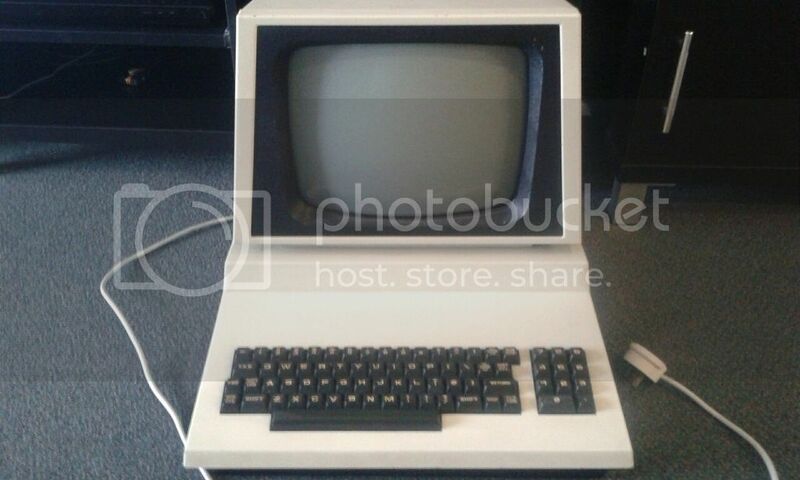 I pulled the CPU and put it into one of my Apple //e and it works ! 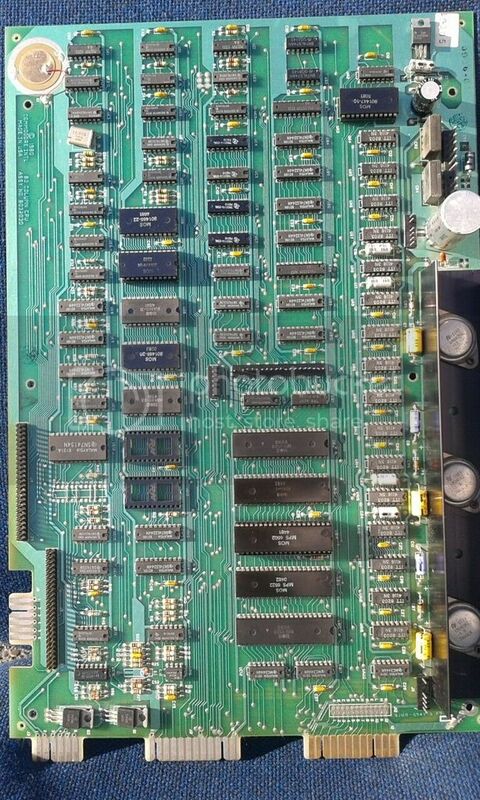 Best / cleanest pins I have ever seen on a CPU in fact. PS: I corrected the name of the computer, sorry about confusion but the 4000 series are called PETs and 80xx are CBMs. [Update] after reinstalling the CPU it is now beeping on power up, the RAM has failed so it's going to be easy to fix, the biggest problem going forward is that the monitor has no picture at the moment, I need to wire up a composite video out so I can connect an external monitor, anyone done this before? Incidentally the apple monitor 2 is the same size and shape so it will fit the CBS case if all else fails. 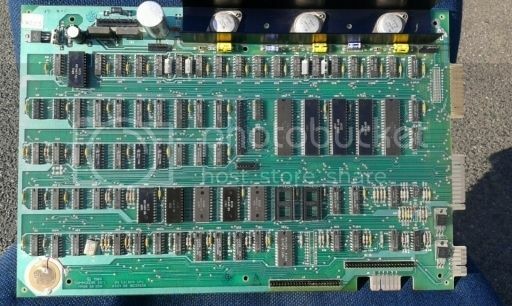 There is something about pictures of mint-condition motherboards of vintage computers. I love to look at them. They are a form of art. 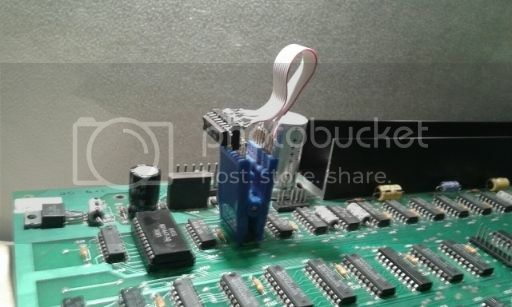 I agree Tezza, the picture can disappear even because of parts on the motherboard, like if the character ROM has lost proper contact in the socket. I have gone over the PCB with a new tooth brush.... I firmly believe dirt and dust is rust food. Simple testing shows the RAM is getting +12v etc. I tested the 4116 in my Apple europlus motherboard, piggy backing any of the chips did not stop the apple 2 from working, I tried dozens of 4116's on the motherboard until I found a dead one, on this I tried the piggy backer and it did not fix it, ambiguously the piggy backing did not stop any RAM chips from working. * initially the computer chirped and had a garbled picture, after a few seconds the picture went out (but it still chirped). 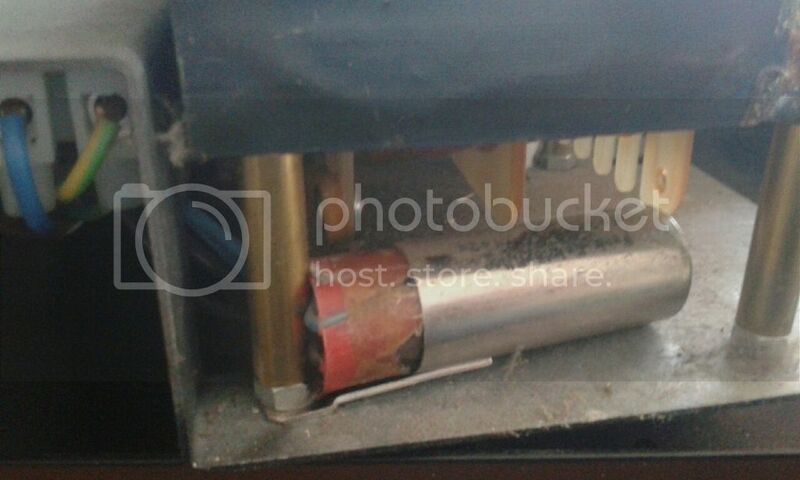 * when I got it home it chirped, then it stopped chirping so I cleaned the motherboard then it started chirping again. * then it stopped chirping (I promise I did not even touch it !). apparently from here there can only be progression as all the regression that is possible has already happened . 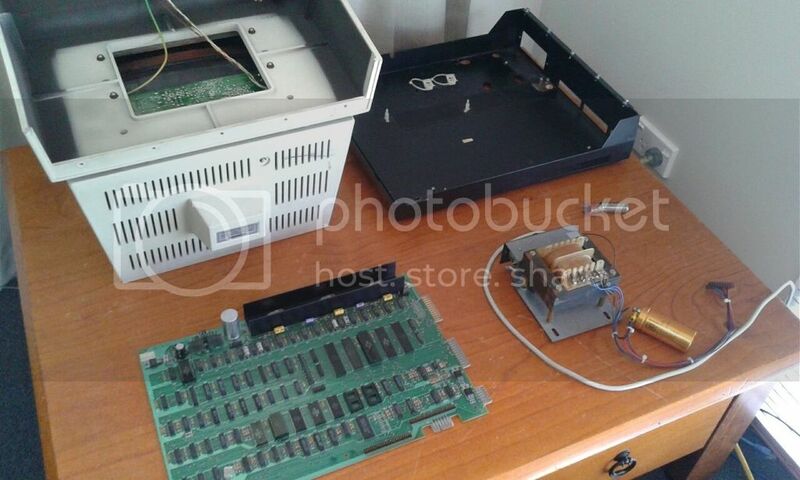 So I took the CPU out of the CBM and put it in my Apple 2 and the MOS CPU still works anyway, re-tested the voltages (alls well), I'm going to need some cleaner solvent for the sockets (I suspect IC sockets due to intermittent failure) so in the meantime I will keep cleaning the outside. When I push the IC's into the sockets they make that crunching sound, I'm going to replace them with quality wire wrap sockets. I'm glad I'm not the only person for whom "piggybacking" seems inconclusive. Is it really that simple? I could be talking rubbish, but wouldn't you have to lift some pins on the chip being tested? Gibsaw wrote: I'm glad I'm not the only person for whom "piggybacking" seems inconclusive. It proves it doesn't always work. I tested the reset pin on the CPU , it goes low for half a second on power up. There are also signs of activity on the address and data bus's, also there is activity at the RAM chip select etc pins. CR1 and CR2 get very hot (located near PSU plug).